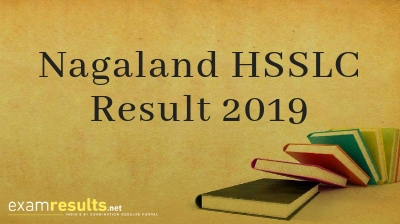 April 08, 2019: The Nagaland Board of Secondary Education (NBSE) usually announces the NBSE HSLC Class 10 Results 2019 as well as the Nagaland HSSLC Class 12 Results 2019 in the month of May. The NBSE officially conducts the HIGHER SECONDARY SCHOOL LEAVING CERTIFICATE (HSSLC) Class 12 exams during the months of either February or March. You can check your NBSE result 2019 on this page. This year, the Nagaland Class 12 final exams 2019 are supposed to be held in the month of March 2019. The exams commence on 12 February, 2019 and end on 4th March, 2019. The official Class 10 exam dates for the academic year 2018-2019 have also been announced by NBSE and it will be conducted from 12 February-4 March, 2019. Where to Check Nagaland NBSE Exam Result 2019? Nagaland Board of School Education (abbreviated as NBSE) is a board of school education in the state of Nagaland, India. It was founded on 15 November, 1973. The board organises, controls, regulates and looks after the matters associated with school education in the state of Nagaland. It is a state bureau of Government of Nagaland in India. It is an authoritative body which is responsible for the promotion and development of secondary education and higher secondary education in the state of Nagaland.